Modus Games and Moondrop have announced that Degrees of Separation will release on Nintendo Switch, a 2D puzzle platformer with a narrative crafted by industry veteran Chris Avellone. 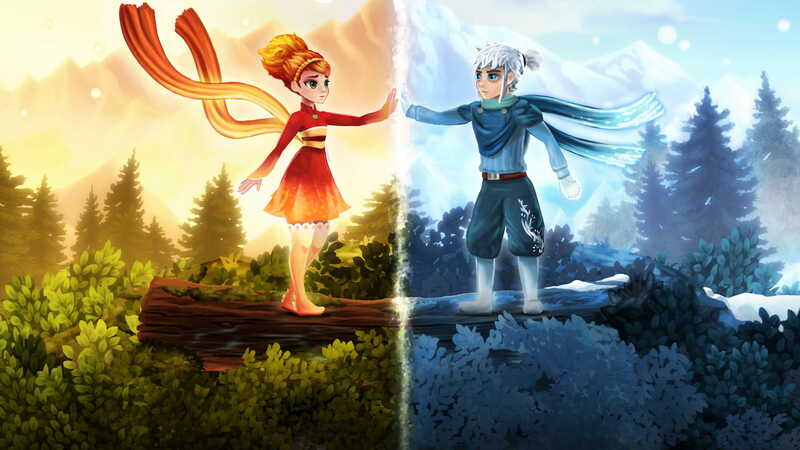 It stars dual protagonists Ember and Rime, that each has the power to manipulate heat or cold. You must learn to master their respective temperatures as the two characters grow closer – tackling the themes of closeness and separation. That will see you explore a non-linear world in which you are encouraged to experiment and interact with everything that’s around you. Where Ember will melt ice in a nearby river, Rime can freeze it over. Degrees of Separation will release on the Nintendo eShop for Nintendo Switch worldwide on 14th February 2019 priced at $19.99.